The African continent is positioning itself as a global style icon, fusing the influences of international trend-makers with the unique colour and vibrancy that characterises its people and cultures. 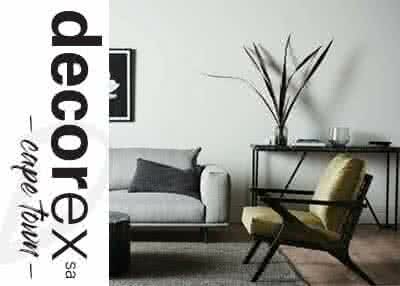 The impact of this colourful continent on the 2019 lifestyle trends will be brought home through the features and products showcasing at Africa`s biggest decor and design exhibition - Decorex SA. This year`s much-anticipated theme `Designing for Africa - feels like home` encapsulates the re-birth of the African style powerhouse. Box office opens 10h00 for sales and collection. However to avoid queues, please collect your tickets at any Computicket store or at any Shoprite, Checkers, Checkers Hyper, House and Home or at selected OK Furniture and Usave stores. Credit cards used to make the booking must be presented when collecting the tickets.